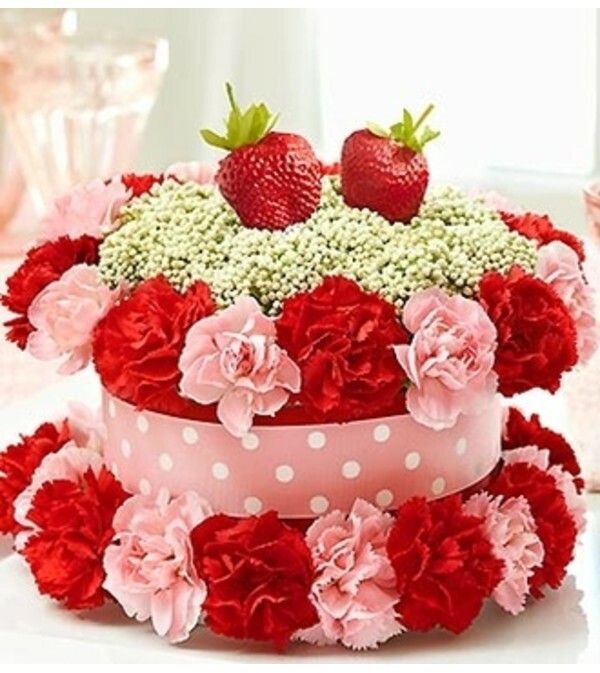 If their celebration is ripe for a smile, send our stylish strawberry fresh flower cake and make it bright and beautiful. 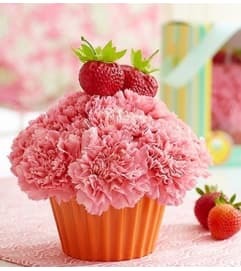 Hand-designed with vibrant red and pink carnations and rice flower "icing", it’s sure to make the other desserts jealous. 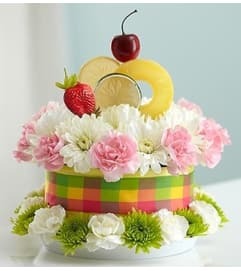 Topped with a pair of strawberry picks and accented with a colorful ribbon. 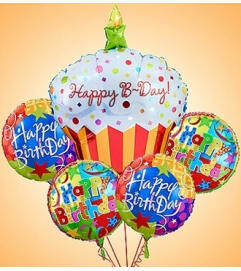 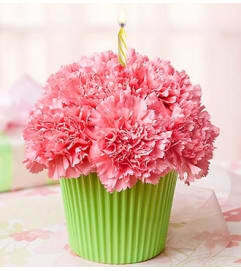 A terrific gift for birthdays, dinner parties or any stylish soiree.